The film is an exploration of the genocide in Darfur based on the testimonies of former US Marine Brian Steidle as well as the voices of the communities affected by the violence. Betsalel, Kenneth Aron., and Mark. Gibney. 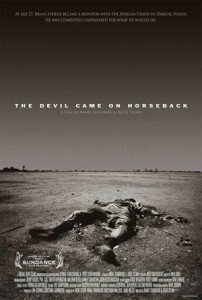 “Human Rights Watch 2007 Traveling Film Festival.” Human Rights Quarterly 30.1 (2008): 205-08. Print. Abusharaf, R. M. “Debating Darfur in the World.” The ANNALS of the American Academy of Political and Social Science 632.1 (2010): 67-85. Print. Coley, Jonathan S. “Theorizing Issue Selection in Advocacy Organizations.” Sociological Perspectives 56.2 (2013): 191-212. Print.